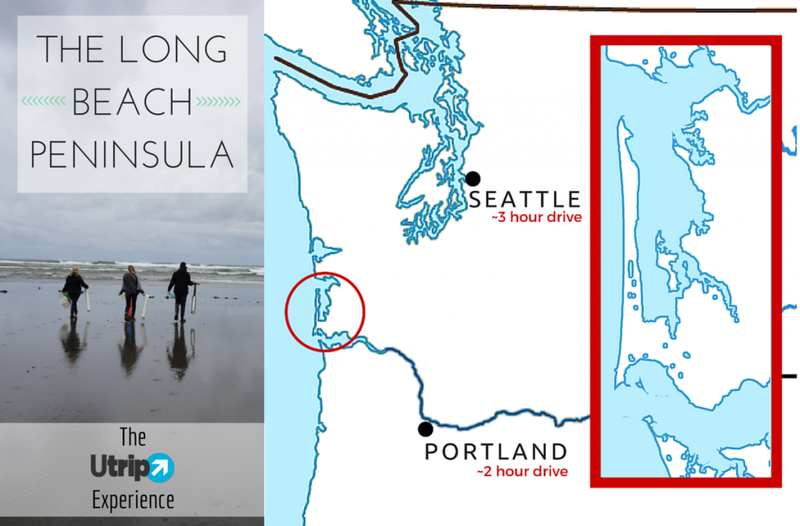 Long Beach, Washington is located on what is touted as the "Longest Beach in the World". 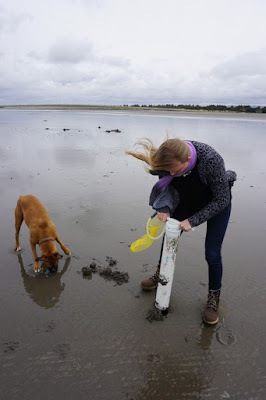 The beach is 28 miles of unbroken sandy beach stretching north of the city of Long Beach on a narrow peninsula separating Willapa Bay from the ocean. There is so much to do this blogger hardly knows where to start. Within just a couple miles of the city of Long Beach itself are two historic lighthouses. The top image is of the Cape Disappointment Lighthouse which overlooks the mouth of the Columbia River. 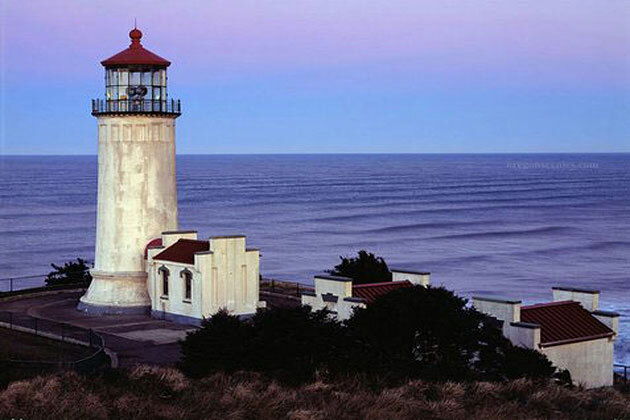 The lower image is the North Head Lighthouse located just a short distance north of the mouth. Fly into Portland, Oregon, rent a car and you can be at Long Beach, Washington in about 2 to 21/2 hours for a weekend full of lots of fun things to do. Clam digging is a popular sport on the peninsula during low tides. The digging seasons vary. There is usually a short season in the spring and another in the fall. 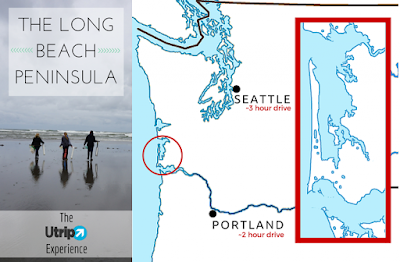 The Long Beach Peninsula was voted "Best Beach" by Seattle's KING-5 TV. Among the many things to do are several blocks of shops, comfortable lodging, great seafood, small museums, horseback riding, many miles of beach combing, cranberry bogs and oyster farms. Long Beach hosts an annual kite festival and an annual sand castle contest. So much to do. 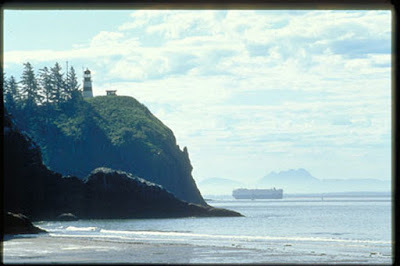 I didn't mention the Wildlife refuge located at the very tip of the peninsula. The refuge is a favorite spot for bird watchers. This blogger lived on the peninsula for about twenty years but had to move inland due to family issues. I plan to do more blogs about Long Beach. Please comment if you have any questions and I'll do my best to answer them.